Hundreds of farmers become recipients of at most 20 bags each of organic fertilizers. But not all of them are happy. Some claimed they received ‘very dry’ stocks, useless fertilizers. MALAYBALAY CITY, Philippines – About P30 million worth of organic fertilizer subsidy implemented by the National Irrigation Administration in Region 10 for thousands of farmers in Northern Mindanao becomes subject of public inquiry after farmers complained it is of sub-standard quality. NIA-10 proposed the project to help irrigators’ associations they are working with to improve their yield in rice along thousands of hectares of rice farms. But the farmers found the fertilizer useless, and a government official finds out it was produced by a company owned by no less than the NIA national administrator’s family. Some farmers also found out that the report of the number of bags released to them was bloated: two farmers received only a total of 60 bags, and a receivable of 20 bags more; but the distribution report showed a total of 200 bags were released to them. 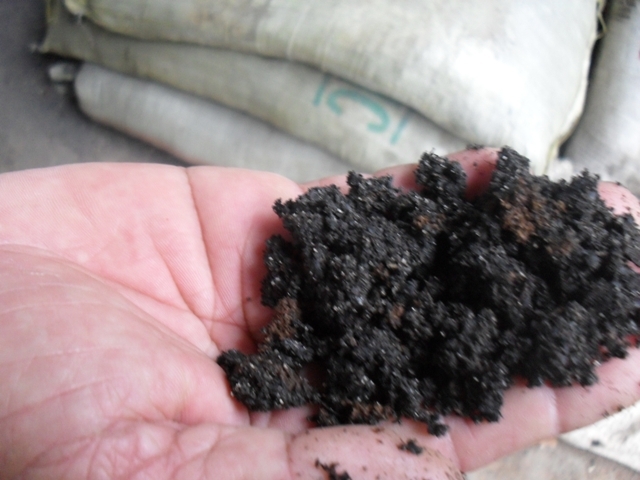 Samples of NIA-distributed organic fertilizers taken as Bukidnon board member alleges scam. The FPA-10 regional office already sent board member Glenn Peduche a copy but the results are yet to be revealed. Valencia agriculturist says NIA didn’t coordinate with LGUs. Engr. Gerson Galvan said NIA did not have the expertise to test the quality of the organic fertilizers. Bukidnon Gov wants P-Noy to look into fertilizer scam. The Department of Agriculture already announced it has initiated an investigation by ordering their legal division to probe on the issue. Mayor-wife of NIA chief supplier for NorMin’s P30-M fertilizer subsidy program. NIA-10 regional director Julius Maquiling was qouted in official records of the Bukidnon Sangguniang Panlalawigan that Lila, Bohol mayor Regina Salazar owned Bayugan, Agusan del Sur-based supplier 3K and C Enterprises. He identified the mayor to be the wife of NIA administrator, now replaced, Carlos Salazar. NIA chief Salazar owns outlet supplying NorMin’s fertilizer subsidy program, says FPA. The Fertilizers and Pesticides Authority Manila Office revealed that Carlos Salazar, the NIA administrator actually owned the company, based on documents he submitted to the FPA to apply for product registration. DA team starts 45-day probe on NorthMin organic fertilizer project. The Department of Agriculture, upon request of the Bukidnon provincial board, has initiated an investigation into the possible organic fertilizer scam. NIA officials have been investigated. The report is due oin mid-September. Organic fertilizers and pesticides are left to the elements at a motor pool of the National Irrigation Administration compound in Valencia City pending an investigation. P2.3M worth of fertilizers in Bukidnon put on hold. The Fertilizers and Pesticides Authority has put on hold P2.3-million worth of organic fertilizers and pesticides here following complaints by farmers over alleged substandard quality, overpricing, and rigged bidding. About 2,700 bags of Grow Organic Fertilizers and 3,741 liters of Green Organic liquid fertilizer-pesticides have been placed inside a motor pool building in the National Irrigation Administration compound after these were delivered in the first quarter of 2010. Jimmy Apostol, NIA Bukidnon irrigation officer, told MindaNews Wednesday the fertilizers and pesticides are part of the last of three tranches of the NIA’s Bio-Organic Fertilizer Subsidy Project in Northern Mindanao initiated in June 2009. The stocks have been put on hold since last June 4 by virtue of an FPA “stop use/stop move/stop sale” (SUMS) order pending their own tests of samples. Two months after samples were taken, the fertilizers and pesticides are still kept in the open motor pool building. No results yet on probe of P30-M NIA fertilizer project. After almost four months after the Department of Agriculture investigated into the controversial P30-million National Irrigation Administration’s Bio-Organic Fertilizer project for Northern Mindanao, no results have been released so far. No raps, only ‘reorientation’ for NIA officials behind P30-M fertilizer program. Irregularities were found in the implementation of the National Irrigation Agriculture’s fertilizer subsidy program in Northern Mindanao, but Agriculture Secretary Proceso Alcala was satisfied with the recommendations to withdraw and replace the substandard organic fertilizers released to farmers and reorient the officials behind the questionable P30-million project on bidding procedures. In her letter to Mayor Leandro Jose Catarata on October 18, Lealyn A. Ramos, Department of Agriculture-X regional executive director said the recommendations came from the investigation team formed by her office. Rice farmers in this city were among the recipients of the organic fertilizers distributed by NIA-10 in 2009. 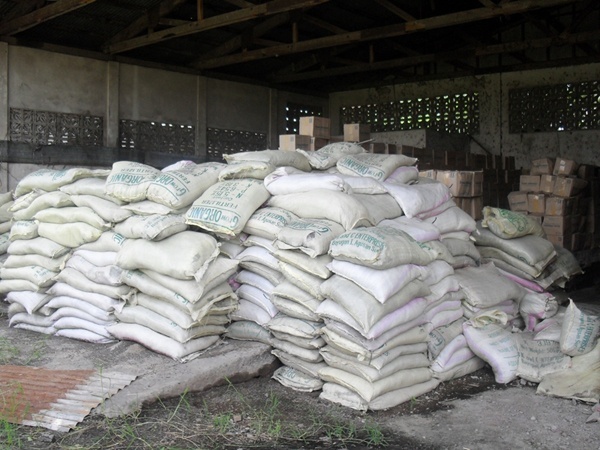 At least 1,000 farmers in Northern Mindanao, mostly in Bukidnon received the fertilizer procured with funds from the DA’s Ginintuang Masaganang Ani (GMA) – Rice Program. Ramos said the reorientation means keeping all members of NIA-10’s bids and awards committee abreast with the latest updates of the Government Procurement Reform Act (RA 9184). Alcala’s decision drew the ire of City Councilor Glenn Peduche, who was among the first to expose the alleged irregularities of the project, including lapses in bidding and the reportedly substandard quality of the fertilizer. “The DA should conduct a more in-depth investigation how this happened. If proven to have violated the law, perpetrators must face the consequences,” Peduche said. Since last month, I started publishing the Bukidnon Our Home blog (formerly Bukidnon My Home). So far I am enjoying it and slowly it has gained traffic. I was contemplating whether I should continue a strain of posts that offered only the good news. The reason of doubt is I feel that Bukidnon people from around the world wanted to get as much accuracy of the situation as possible. To add to the features of the Bukidnon place blog, I wish to link it with more bloggers especially the place bloggers of the province’s 20 towns, two cities, and 464 barangays! Of course I decided to show bias for the good news but I will not blur on the bad news too. I plan to appear in a meeting of an association of Bukidnon’s public information officers next month to share to them the potentials of blogging. The move will be an effort to reestablish link with them for my journalistic endeavors, too. The Bukidnon tribe is seeking endorsement from the city government of Malaybalay for its Daraghuyan ancestral domain claim over at least 4,700 hectares inside the Mt. Kitanglad Range and Natural Park. Bae Inatlawan Adelina Tarino, head claimant, said the city government’s endorsement is the last requirement for the National Commission on Indigenous Peoples (NCIP) to process their application. “We hope you will help us in this requirement, which is the last document we need for the application,” Tarino’s September 23 letter to Mayor Florencio Flores, said. Tarino’s letter was written in Cebuano. Flores endorsed the request to the city council on the same day. The legislators have calendared it for October 7, Tarino said, adding Councilor Manuel Dinlayan, the council’s committee on indigenous people’s chair, assured here it will be tackled this week. She noted the tribe’s great difficulty in acquiring an endorsement from the barangay government in Dalwangan village, where the tribe is based. Read full story here. I feed on words and the elements of composition. Writing news is my bread and butter. And I go to the field spending my meager resources to get the facts myself in an effort to get it right. I may not be the best in what I’m doing, but I have always tried to do and give my best in every story I cover. When I get to file my articles, I draw my motivation in the thought that I have reported about something that is useful to the community. Sometimes, the effort is not well-rewarded. It can be called labor of love, nah, maybe labor of the stubborn-headed journalist who choose a more complicated job over comfort. I’m cool with this as this is a life choice.